At Reap Air Compressor Services, we understand that efficiency and reliability are crucial aspects of any industry or business. Efficient production, for many industries, is heavily reliant on an industrial air compressor, and its continued efficient function. This is why we are a proud supplier of Quincy air compressor parts – to maintain your efficient production process and benefit your business. Our extensive list of reliable compressors is best coupled with regular upkeep and maintenance. When you use a Quincy air compressor, parts, accessories, and supply kits become very useful items to have. Fortunately, we stock a great many products and services that help in this category. 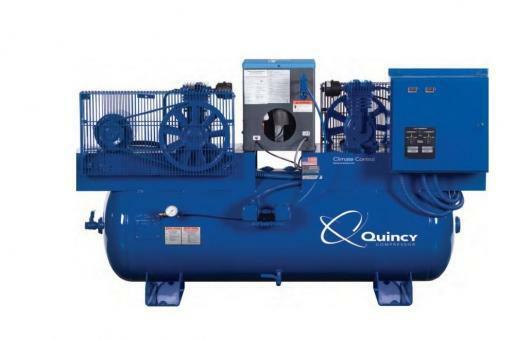 Get a Quincy air compressor, its parts, services, and accessories at ReapAir! We offer many more Quincy air compressor parts that will surely cover all your needs in maintaining your machinery. We cover parts for all sorts of coolers, as well as valves of all kinds. Our technical team can advise with any aspect of the process you may be unfamiliar with, and we also offer individual service tools or tool kits. Contact us today to request a quote or to learn more about these services! Good to know that a broken part isn't just the end! Thanks for the service.